Lenovo launched the Vibe K5 Note smartphone in India last week starting at Rs. 11,999. 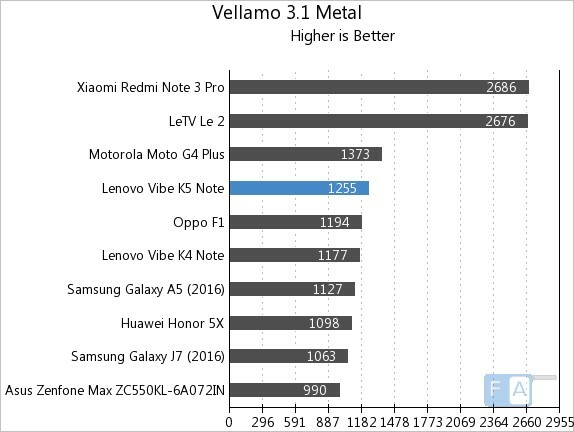 We already brought you the unboxing of the phone, here we have its benchmarks. 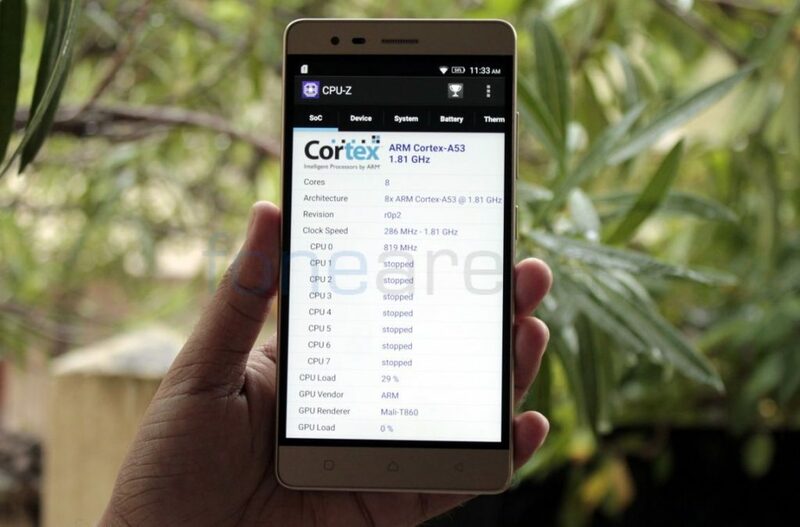 The Vibe K5 Note is powered by an Octa-Core MediaTek Helio P10 (MT6755) 28nm processor with eight ARM Cortex-A53 cores clocked at 1.81 GHz per core along with 700MHz, Dual-core 64-bit Mali-T860 GPU. It has 4GB of RAM, has a 5.5-inch 1080p display and runs on Android 6.0 (Marshmallow) with Lenovo’s own Vibe UI on top. Check out the synthetic benchmark scores below. 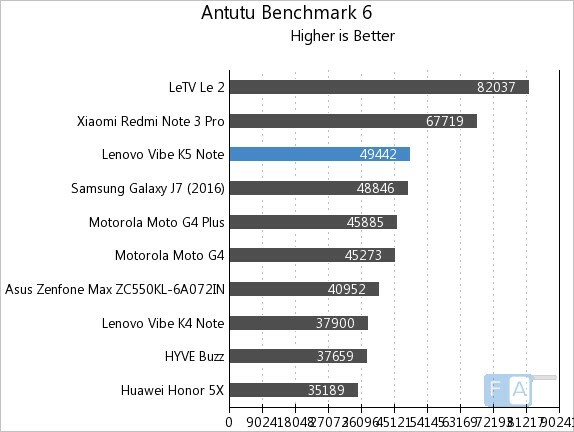 It scored 49442 points in the AnTuTu Benchmark 6 and grabs the third spot. 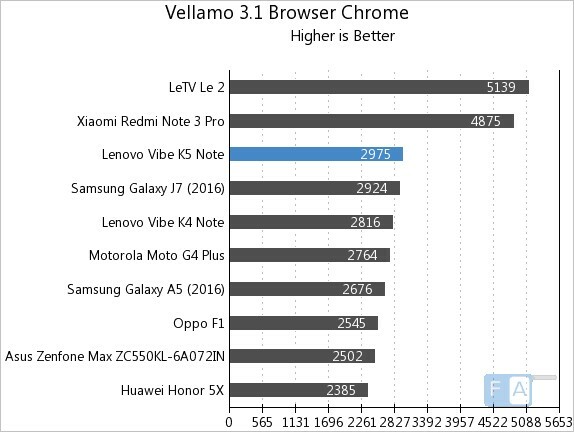 It scored 2975 points in the Vellamo 3.1 Chrome Browser benchmark. 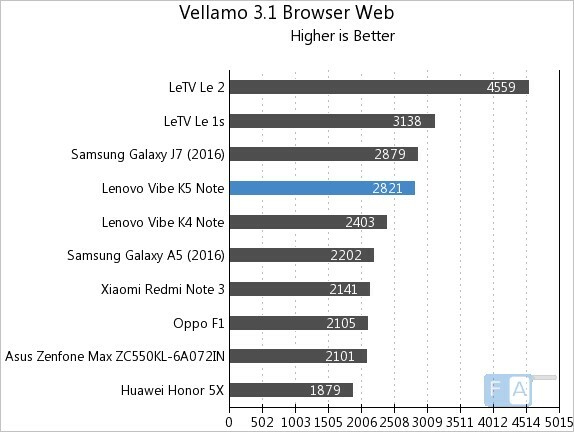 It scored 2821 points in the Vellamo 3.1 web browser benchmark. It scored 1255 points in the Vellamo 3.1 Metal CPU subsystem performance test. It managed to score 3037 points in the Vellamo 3.1 MultiCore benchmark. 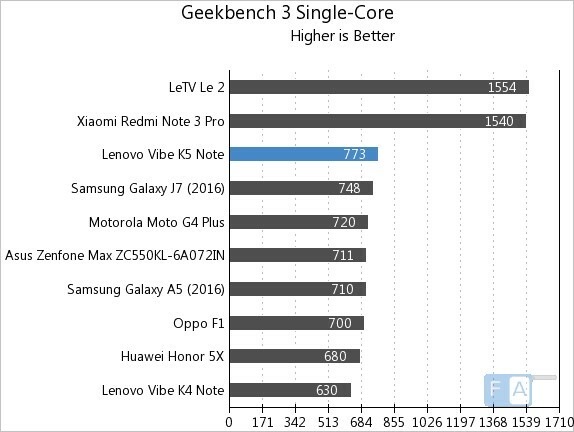 It scored 773 points in the Geekbench 3 Single-Core benchmark and grabs the third spot. 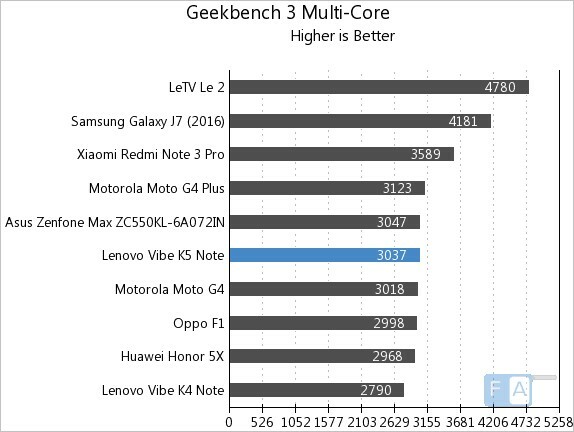 It managed to score 3037 points in the Geekbench 3 Multi-Core benchmark. It managed to clock 951.4 frames or 17fps in the GFXBench 2.7 T-Rex OnScreen benchmark. 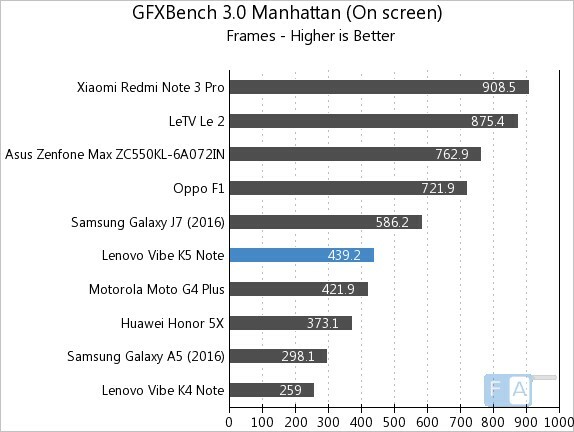 It managed to clock 439.2 frames or 7.1fps in the GFXBench 3.0 Manhattan OnScreen benchmark. It scored 10703 points in the 3DMark Ice Storm Unlimited GPU benchmark. 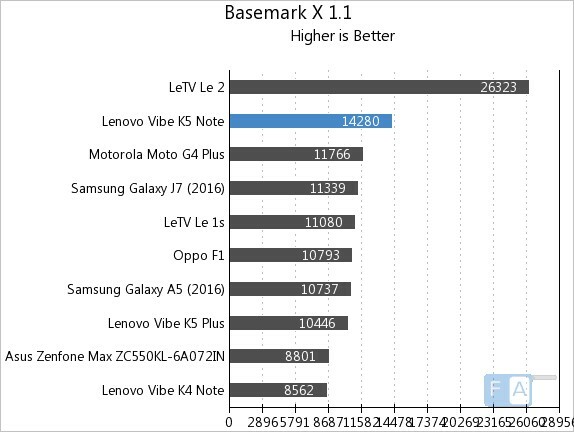 It scored 14280 points in the Basemark X 1.1 benchmark and grabs the second spot. 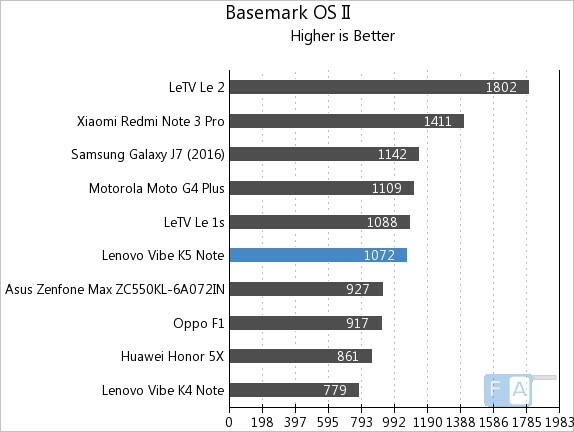 It managed to score 1072 points in the Basemark OS II benchmark. 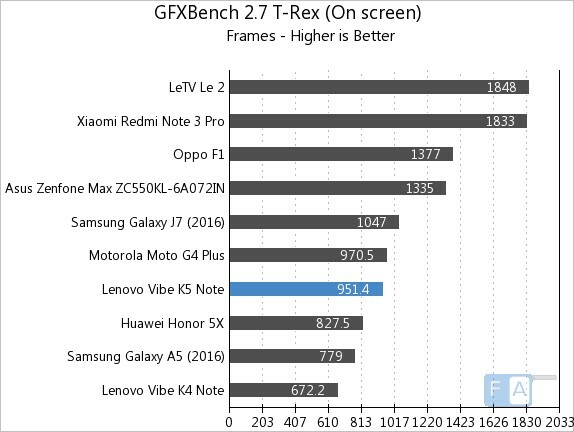 These are just synthetic benchmark scores, we will bring you the real life performance in the complete review soon.